An unknown person or persons has stolen one of Lochmead Dairy’s cows…and the family would like her back. The theft happened last year at the annual Bi-Mart Willamette Country Music Festival which is held in Brownsville, Oregon each year. The festival attracts thousands of visitors from all over, coming to see and hear some of todays top country music performers. 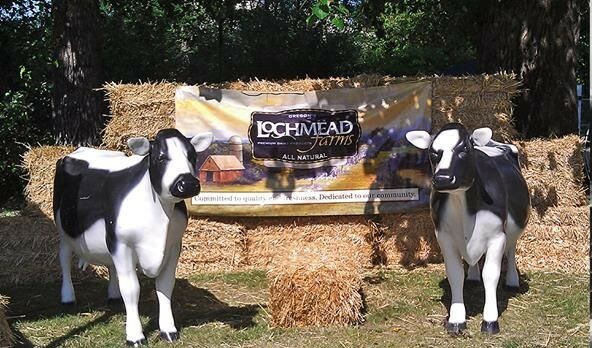 Lochmead Dairy historically has a booth at the festival selling their delicious ice cream. Representing the Lochmead brand was Aretha; a black and white 100 pound fiberglass life-size cow. There are two other life size Lochmead Dairy cows; one is identical to Aretha, the other sits atop one of the Dari Mart store signs. The theft happened on Sunday August 18th, 2013; the last night of the popular annual country music weekend. The property that holds the festival each year is located approximately 4 miles west of Brownsville on highway 228, about halfway between Sweet Home and I-5. The venue typically sees upwards of 13,000 people at the weekend long event including camping on the property. That many people and vehicles in a small country two lane town of about 1700 equates to a lot of activity. The first attempt to steal her was foiled when two men where seen carrying her across the field through the crowd. A few shouts towards the men carrying her to “drop the cow” was enough to convince the men to do so and they hi-tailed it out of there; leaving Aretha behind. She was returned to the booth and covered with a tarp for the night. Later that evening as people were winding down from the weekend, packing up their belongings into their vehicles and heading home, a man in a full size pickup arrived at the front gate. The man in the truck spoke with security, convincing the security guard that he was with Lochmead and was there to move Aretha to another location. The security guard allowed him access with his truck. The suspect then loaded Aretha into the truck and left the area. It has been nearly 9 months since she was stolen. That night was the last time she was seen. To date there have been no leads as to her whereabouts. With the case having gone cold, the Lochmead and the Gibsons are reaching out to the public for help in finding Aretha. 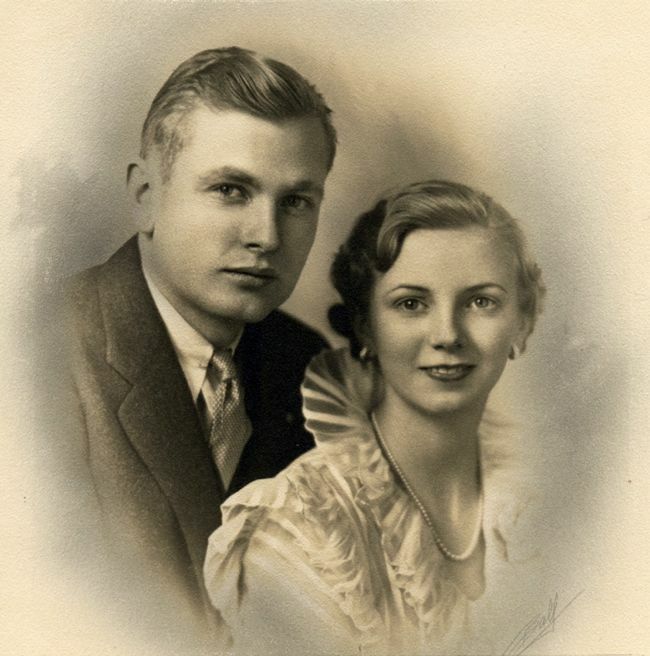 The Lochmead story goes back 73 years to 1941 when Howard and Gladys Gibson purchased 100 cows and 120 acres just 4 miles north of Junction City; and so began their legacy. 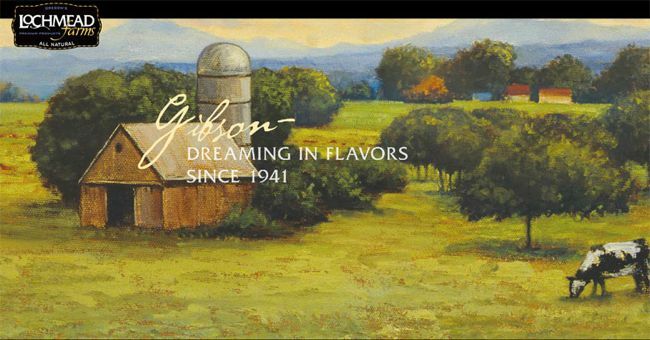 The Gibson’s wanted to be able to bottle and sell their milk directly to families located in their community, so Jock Gibson studied for a year in Boise and Seattle and learned how to bottle milk and make ice cream. The Gibson’s opened their Lochmead bottling company in 1965. Needing a place to sell their milk from, they opened their first 5 stores in connection with the bottling company, the result is the now familiar Dari Mart chain. Lochmead has evolved over the years. 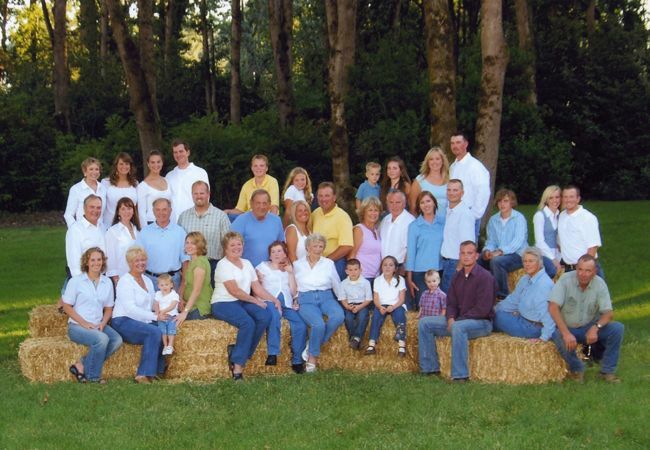 The Lochmead Farms have grown to 3000 acres and 600 Holstein cows; which are all born and raised on the farm. 6000 gallons of milk are produced each day at Lochmead Farms and deliveries are made to the bottling plant in Junction City twice a day. While the Lochmead Dairy “icon” cows are pretty famous, there have been other famous statues stolen as well. Some right here in Eugene. Industrial Finishes & Systems of Eugene had a 3 foot tall metal eagle with a 5 foot wing span stolen from in front of their building two years ago. The company offered a $10,000.00 reward to the person who was able to help find the person who stole the statue. The Eagle has never been recovered. A Bob’s Big Boy statue was stolen from outside of a chain restaurant in Bakersfield California and held for a $1,000 ransom. The restaurants surveillance video shows the thieves unbolting the statue, masking their identities with their shirts pulled over their heads. 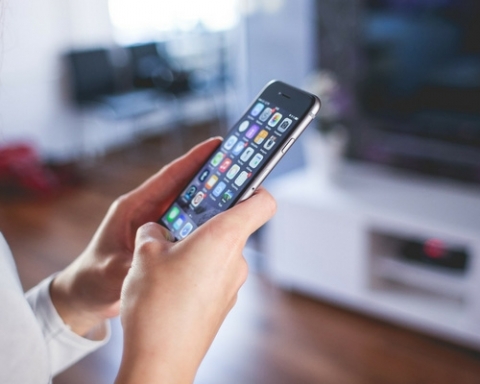 The two teenage boys were eventually recognized from the video and arrested. One of the boys was arrested for extortion. He had contacted the restaurant manager and promised he would tell them where they would find the statue if they paid him $1,000 dollars as a reward. One of the suspects mother was even involved offering to return the statue, but later reneged on her offer. The statue was returned but it is unknown exactly how it arrived back at the restaurant. There seems to be a run on statue thievery in Salt Lake City, Utah. 10 life-size bronze statues of children were stolen from an outdoor Sandy Art Gallery. The latest bronze sculpture stolen was a male quail and his chick. The sculpture is named “Skating To Fly” and depicts the quail and his chick on a skate. In total, the value of these eleven statues is at approximately $70,000.00. The very sad thing about this is that the authorities believe the statues will be sold for scrap metal and would net only about 99 cents per pound. 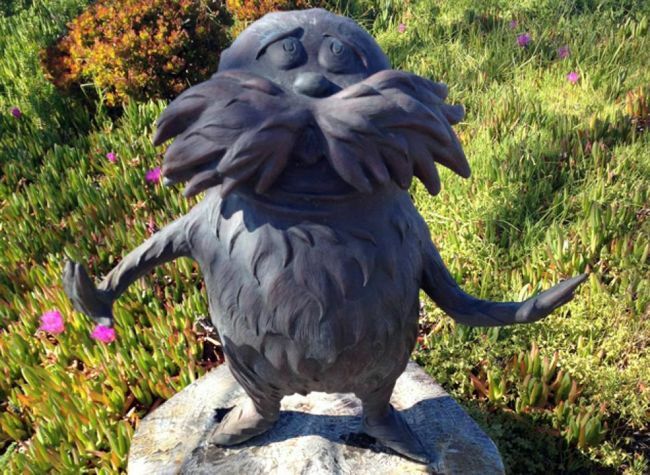 Another very famous stolen statue was one of the only two Lorax’s in the world and was stolen from the estate of the late Theodore Geisel, also known as Dr. Seuss. The Lorax was created by Seuss’ stepdaughter Lark Dimond-Cates. Cates created the statue for Seuss’ memorial. Her mother; Dr. Seuss’ widow Audrey Geisel loved it so much, she ask her daughter to make another. The statue sat in the yard where she could see it every day. Waking one morning, she realized it was not there. Typically security camera’s would have caught the thieves in action but the night the Lorax was stolen, the security cameras were down due to maintenance. The statue is only 2 feet tall but weighs an impressive 300 pounds. It was not an easy task to take it off premises. Luckily the Lorax was found after a tip led the authorities to a desert where it was buried. Aretha isn’t even the only fiberglass cow that has gone missing. On the other side of the world, Annabelle, a life size fiberglass cow was stolen from outside a veterinary clinic in Melbourne, Australia on Christmas Eve 2012. She had stood guard over the clinic for 10 years and had quite an impact on the locals. They had come accustomed to using Annabelle as a landmark in the area. All of the above scenarios are not just cases of statues gone missing, but life interrupted. These objects are art work, pieces of peoples lives and they are missed. The Gibson’s want Aretha back home where she belongs and the family is offering a no questions asked reward for her safe return. We would also like to see Aretha back where she belongs and we will even arrange to come and pick her up if you have her, or know where she is. On behalf of the Gibson family and Lochmead Dairy, we would like to extend our thanks in advance for your help to get Aretha home.